David Needleman is qualified as a Pharmacist in 1970, and worked in many different community environments, including owninghis own shops. In 1987 he enrolled at the College of Homeopathy and there followed 4 years of hard but stimulating study. David started his practice in 1989 as a student practitioner and when he qualified in 1991 he already had the basis of a career. David continued to work as a a pharmacist by day and see patients in the evenings. In 1995 he began the process of setting up the Helpline and in April 1996 he took the first telephone call. The Homeopathic helpline 09065 34 34 04 is available from 9am til midnight every day of the year at a cost of £1.50 per minute (unchanged from 1996) and looks after the acute locum requirements of more than 1000 homeopaths, it also acts as an information service to the general public, the media, other health care professionals and the profession. To date it has answered more than 140,000 calls. 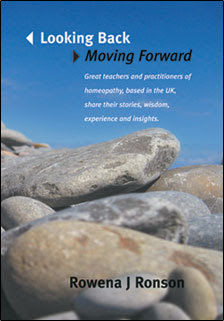 David is aided by a caucus of qualified and experienced homeopaths who each do a 15 hour shift by agreement. There are strict protocols in place about what they say, the duration of calls, and how they deal with the callers problems. David continue to have a broad general practice with offices in London N16, NW11 Edgware Barnet and occasionally Potters Bar. He is also very involved with The ARH of which he is one of the 6 Founding directors. David is also on the Board of CORH which he hopes that all know about as CORH is trying to put in place a single register, with all the bells and whistles of a robust registereing and registation body, in todays health care world. David is also a regular visitor and contributor to The Parliamentary Group on Integrated Health, and the meetings are held at the House of Commons. David Needleman has been guest in studio on LBC. GMTV and been interviewed on a number of occasions by other media (TV and BBC radio London). He also used to write a regular Q & A column for a national weekly womens magazine, where he set it up, co-ordinated the input of a team of other professionals and wrote a lot himself. In this vein David have been commissioned to write the odd article for other publications, such as The Pharmaceutical Journal and the Chemist and Druggist. He has also written other Q & As since for other magazines.